Welcome to the Club COME ON, DON'T BE SHY! Ages 18+ can come redeem tickets for a chance to win prizes, it's easy! Check back often and check as we update winners after draws complete. All kinds of prizes can be won, so enter your tickets for your chance. Store and update your information so we can reach you if you win. 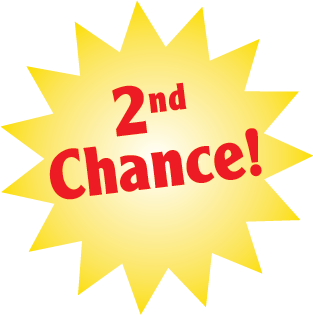 2nd Chance keeps the fun going! Enter your non-winning instant tickets into the Vermont Lottery’s Top Prize, Quarterly, and Promotional drawings. Stay up to date by visiting the site often, checking on draw dates, times, and scanning the winner’s page to see if you’ve won a prize. Welcome to the Club. Enter Now!